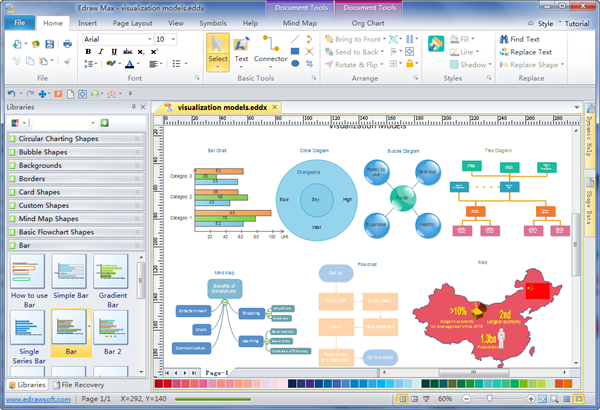 Edraw offers over 200 chart types to visualize your data. 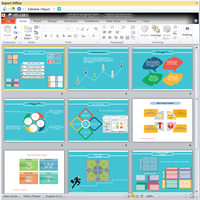 Create professional-looking visuals for MS PowerPoint instantly without hassle. 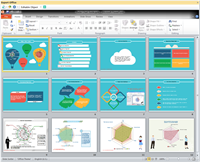 With Edraw, It's easy to create professional-looking visual diagrams for MS PowerPoint and other Office programs. 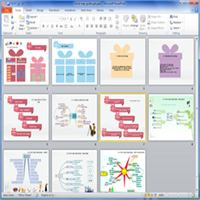 Just drag the pre-drawn symbols from the inbuilt libraries to create desired diagrams. You can click and drag to zoom symbols. Double click the shapes to enter text. Use the smart connector to show the relationship. 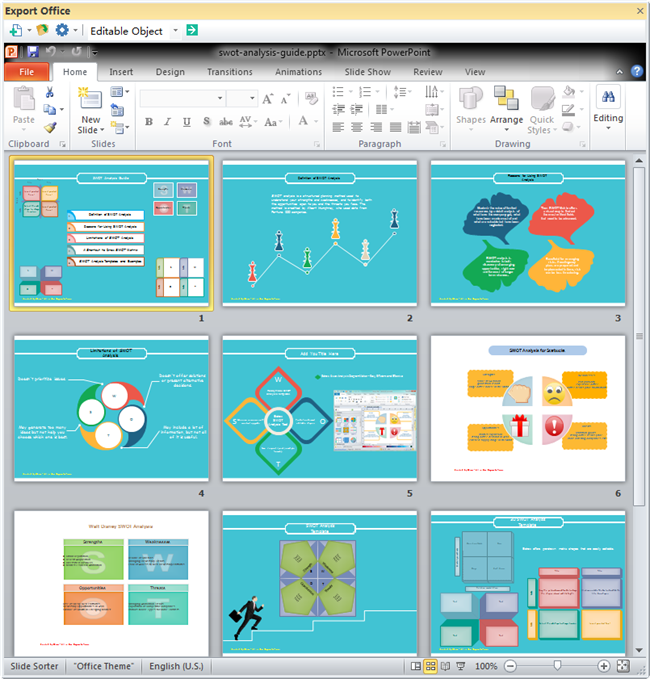 Since Edraw V4.0, it's easier to export the visual diagrams to MS PowerPoint. Just click the Export to button in the Ribbon menu after you finish your work in Edraw. 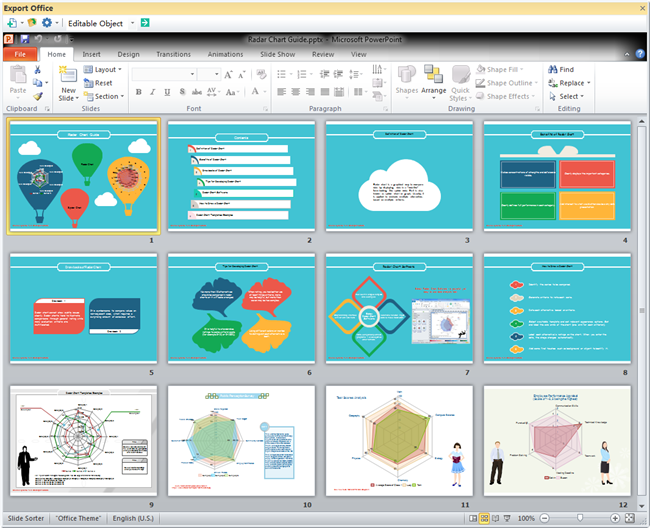 Edraw will automatically create a new MS PowerPoint file and launch it in your desktop soon afterwards. 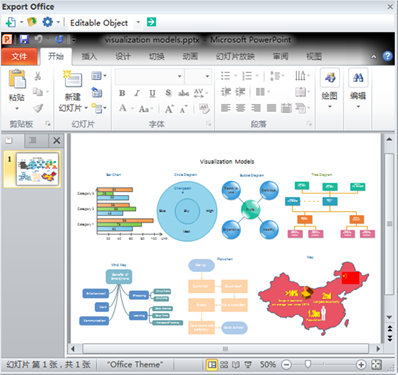 You can continue to modify and edit the file like other OLE Object. 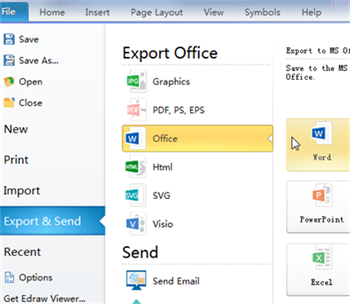 Double click the object in the exported file. You can also return to Edraw program and edit the object again. 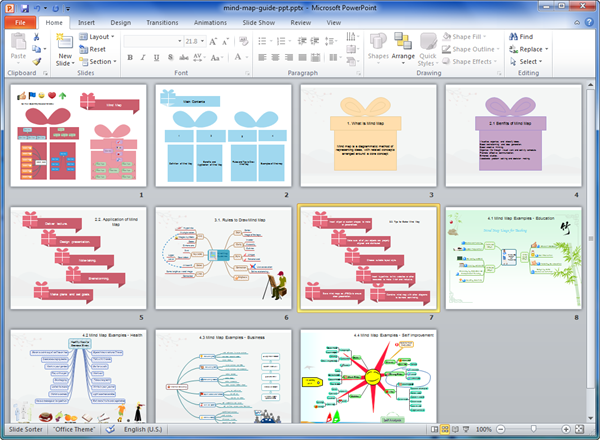 Here are some presentation examples created by Edraw. Download them to fill in your own contents.